Welcome to my site. I hope you enjoy my paintings. there too. I design with pattern and my work has been described as a "Sense of Interval". 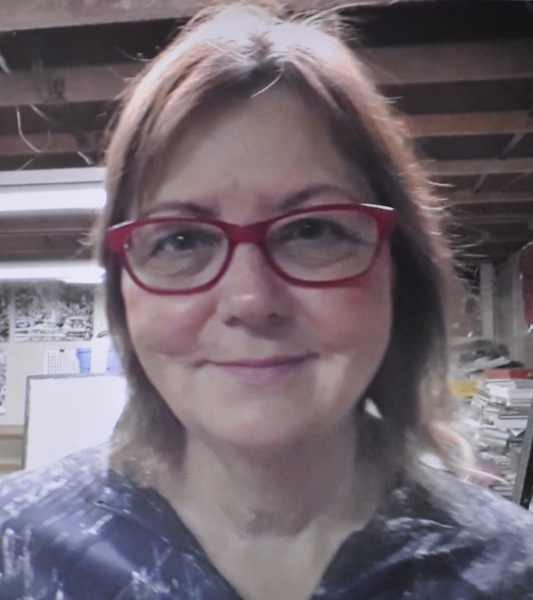 I am the former Vice President /Screening Chair and Workshop Coordinator for the Pittsburgh Watercolor Society. 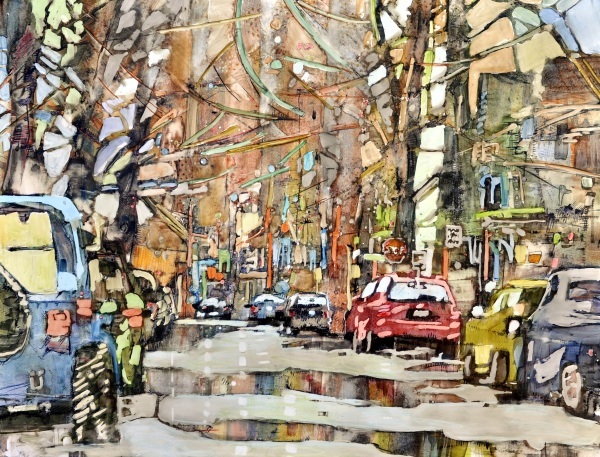 American Watercolor Society signature member and a Pennsylvania Watercolor Society Sylvan Grouse Guild signature member. 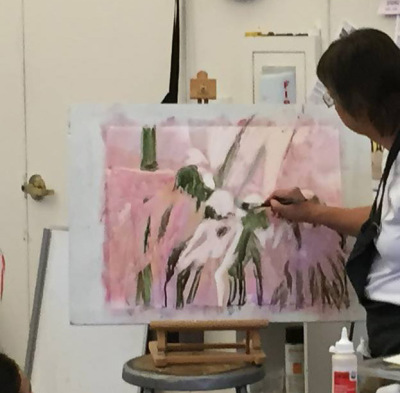 June 2018 Conducted Workshop at Greensburg Art Center "Painting on Yupo"
2018 AWS travel Exhibition to 7 US cities. Mar 2017 Conducted Workshop at Latrobe Art Center on "Painting on YUPO"
June 2016 Accepted into San Diego Watercolor Society Exhibit , SanDiego Ca. Oct 2015 Published in Dec 2015 issue of Watercolor Artist Magazine"Ones to Watch"
and on Artist Network "10 Up and Coming Artists"
Signature Membership; Award: Honorable Mention. 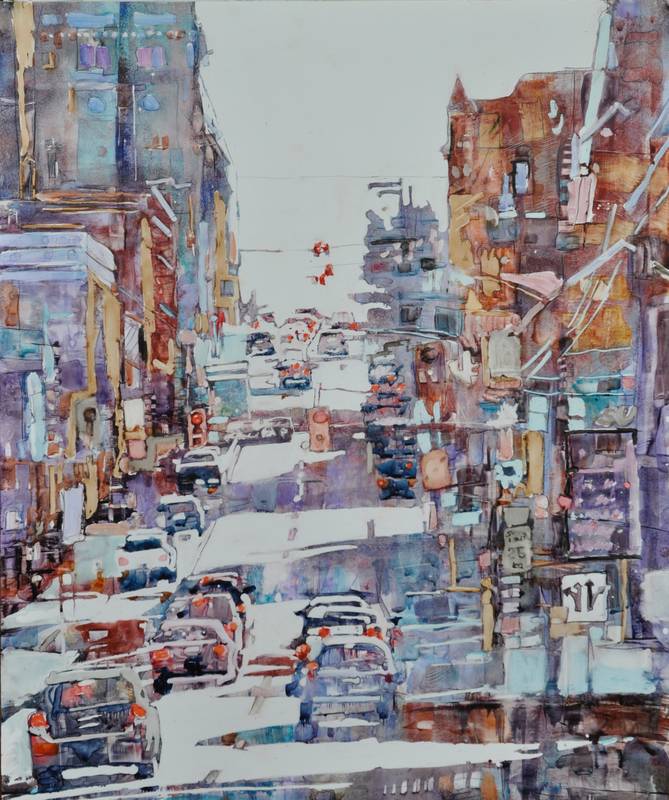 March 2015 American Watercolor Society Exhibition, New York City, "West Newton 2". 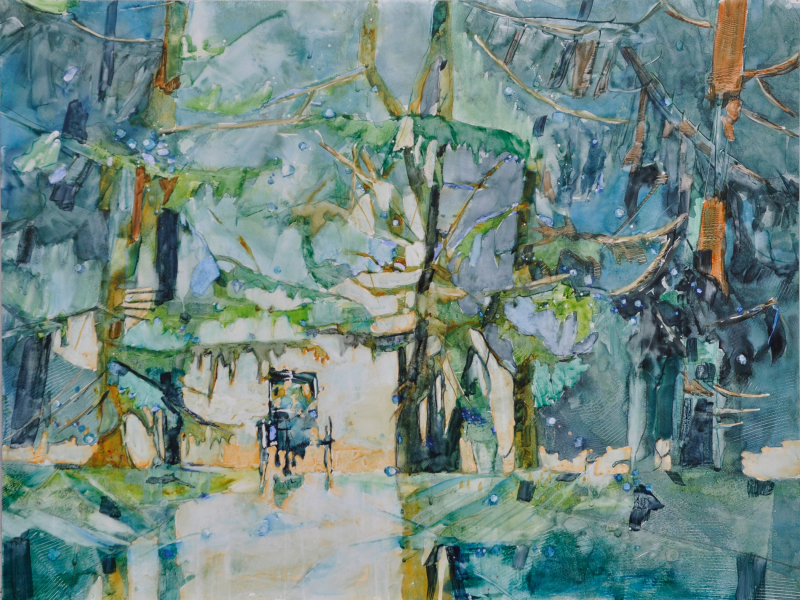 Nov 2014 SPCARTS, Southern Alleghenies Museum of Art, Ligioneer Valley, PA.
Oct 2013 Pennsylvania Watercolor Society 34th Exhibition, The Cary Art Gallery, Warren, PA., “Mountain Retreat"